The Red Tower has a chord based sound that changes every bar to progress the music. The reason this tower represents the chord is because of its radial attack. It’s attack is made up of many tiles closely knit together that light up at the same time. To lower the detail of the scenery even more I decided to model cliff formations. I took a hexagon polygon and extruded the faces until I got a more natural shape. I took inspiration from the film Tron Legacy. 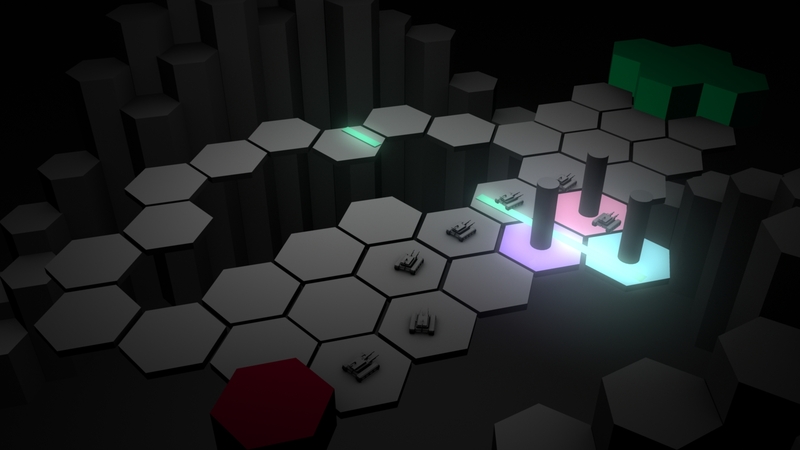 A hexagonal landscape surrounds the battle platform as if its suspended in a canon. I found there was too much detail so I darkened the lights to focus the player’s attention. 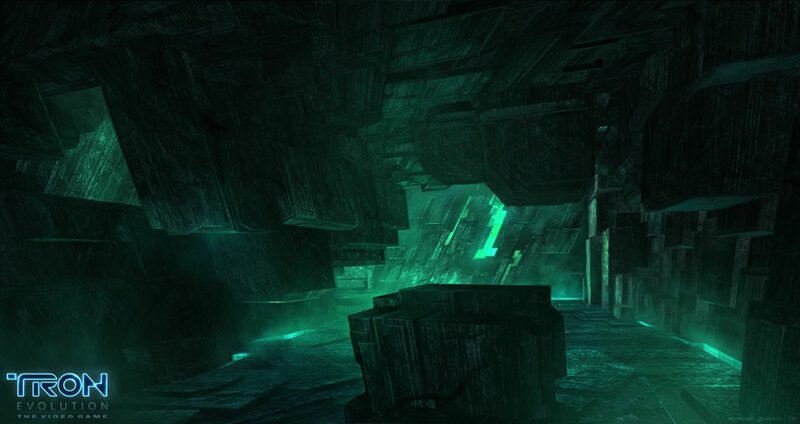 Tron legacy or the game Tron Evolution had more natural looking rock formations to represent raw or unorganised data. A hex grid requires more calculations as it has 6 vertices and is an odd number, this is givving Annop ‘Nargus’ some problems and extra work! It looks great! Putting the aesthetics aside the hexagon is used in table top board games because it makes a seamless pattern with no holes in between the shapes, these holes can be found in Octagon grid, it disrupts the visual fluency of the eye and can damage the immersion factor if the Octo tiles are painted with textures. I laid out a square and Octagon grid to compare, these are the easiest to calculate as they have even numbers. However they lead to regular patterns that can be read too easy, these grids do not provide any visual irregularity such as curves which can lead to a less dynamic looking design. Ditches also slow down the enemy BUT they also protect them. The ditch just buys the player time in order to upgrade their Towers. The Hill mechanic will make Invaders progress slower. These obstructions will make the game more tactical. 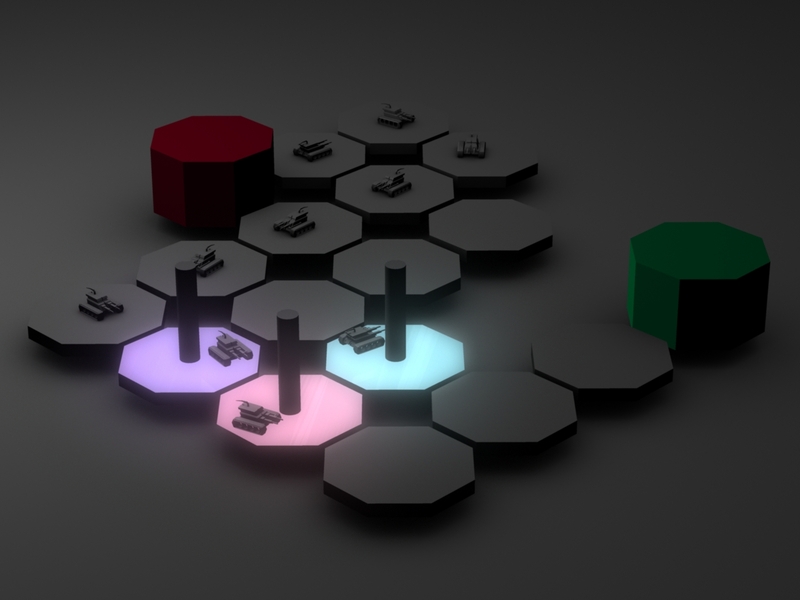 The player could force the Invaders to go uphill which will give more time to destroy stronger units. 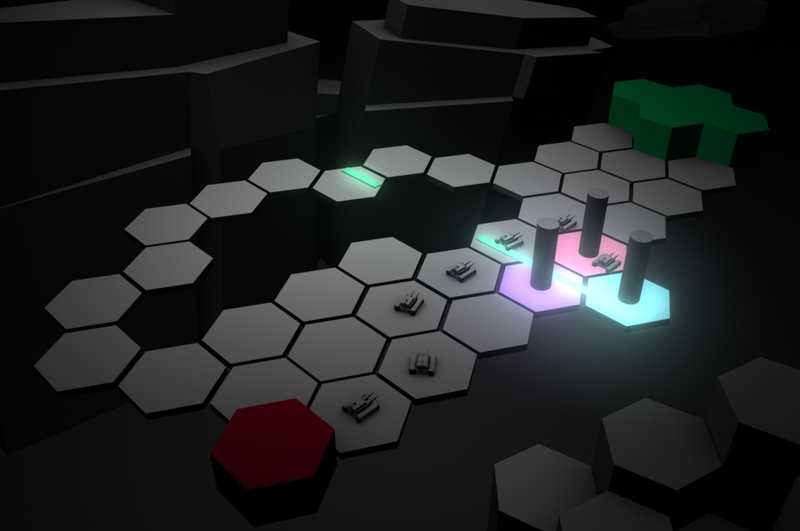 The player could potentially ‘heard’ the invaders into these areas by placing a high concentration of towers at one end, making the enemy choose to go uphill. Ideally the hill has to match the grid to simulate a Truncated icosahedron. (hexagonal sphere) To make the terrain look as if a hill is bulging out of the grid forming a more natural feature out of a not so natural terrain. At the moment the tiles do not match, a formula will have to be used to generate this kind of terrain, this is something Annop (coder) will help me with.